Found 7 file extension associations related to CanoDraw and 1 file format developed specifically for use with CanoDraw. 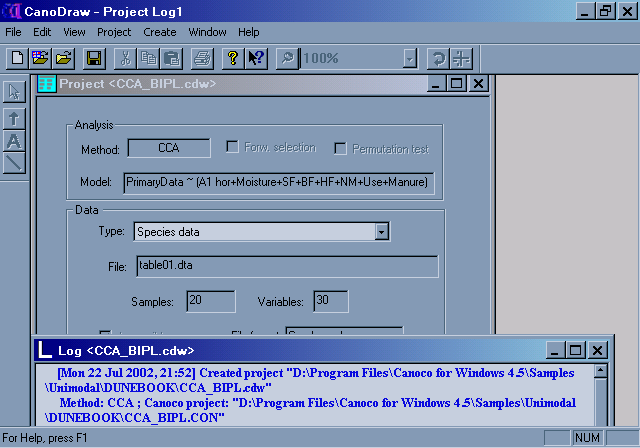 Addition of CanoDraw for Windows represents the major enhancement of Canoco (TM) statistical package. CanoDraw supports thoroughly all the visual aspects of multivariate data analysis with linear and unimodal ordination methods. If you need more information please contact the developers of CanoDraw (Petr Smilauer), or check out their product website.